How Do I Set My Cam and/or Ignition Timing? * The engine is turned over by turning the steering wheel hard left, then putting at 17mm socket through the hole near the bottom of the passenger side wheel arch. Then engine normally turns in an anticlockwise direction as do the dizzy and the cam pully. 2) Remove cambelt (marking direction of rotation on belt if the same belt is to be reused) and rotate pully until the front mark lines up with the arrow on the head (arrow is just below horizontal at the front). To check that they line up perfectly hold a small screwdriver horizontally. 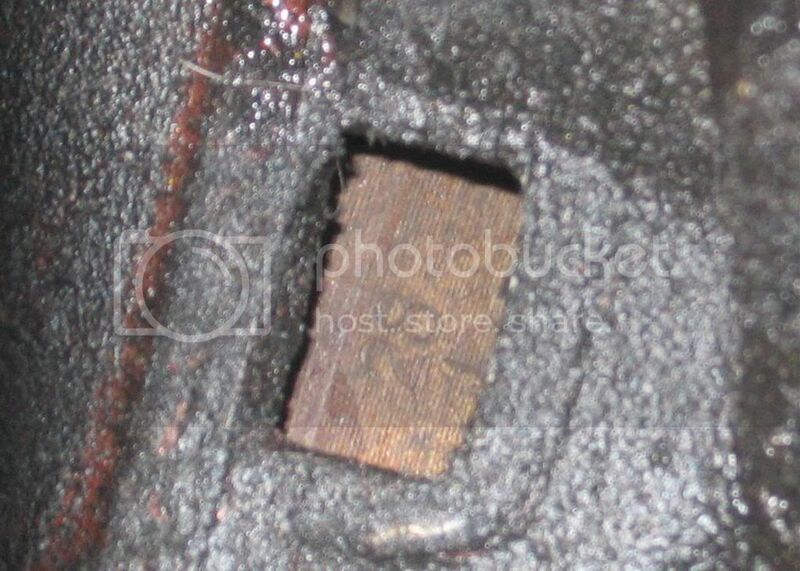 * On one of the large holes in the pulley, there is a little bit scooped out. The front mark is the one at the front when the scooped out bit is at the top. 3) Check that engine is still at TDC and replace cambelt. 4) With the engine still at TDC reset the belt tensioner by loosening the pivot and adjusting bolts (the two at about water pump level on the cover), rotate the crankshaft about a quarter turn anticlockwise to create tension, then tighten the adjusting bolt (the lower one of the two) and then the pivot bolt. Torque of 43 Nm for both. 3) Remove the cap, any interfearing vacuum hoses and engine plumbing (remembering where they all go back of course) and then undo the bolt and take out the distributor. 4) Line up the dimple on the dizzy gear (the dimple, not the bit where the locking pin goes through!) with the little arrow at the gear end of the shaft. 5) Reinsert the distributor so that the bolt hole is in the centre of the slot. * You can hold the top of the dizzy stationary so that it doesnt flop around as you insert it, but once you can feel it has started to engage let it go as it will spin around a bit as the helical gears engage properly. 6) You should be able to start the car now (if not then something is wrong ) and use a timing light to finish the job. Re: How Do I Set My Cam and/or Ignition Timing? This is a reply to get something double checked... so maybe we have to change the original post.. So being the only other mark besides the TDC, i set the ignition to that (it was still just before the TDC as described in the post). Any feed back on this would be great. Other than this query, the instructions were excellent, thanks colza! I believe there may be a difference between T1's and T2's. I would assume that being the only other mark on there that it is probably correct . I dont think 8 degrees of cam timing is enough to make a car not start at all. 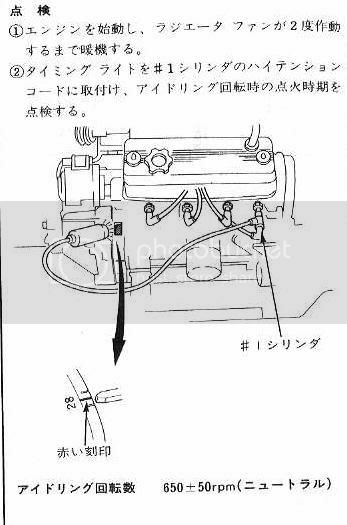 The ignition timing on the T11 should be set at 20 deg BTDC. Fader you are correct. Touche Henry, the city turbo manual strikes. Bigelboe,you are obviously looking at a T1 manual there. The T11 manual quotes 20deg. before TDC as does the sticker on the underside of the bonnet. What accounts for the large discrepancy between the two models that have pretty much identical engines then? 8 degrees advance is a whole lot. However i can confirm a T2 timing mark is different to a T1, there is a orange spot on the flywheel instead of a number or mark.